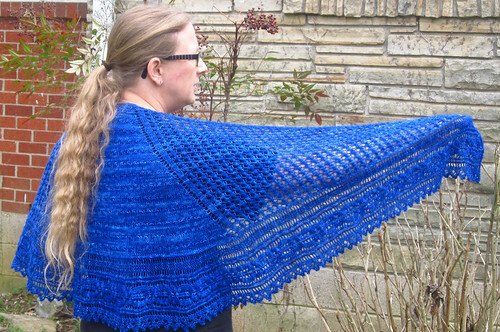 One more gorgeous shawl is off the needles! 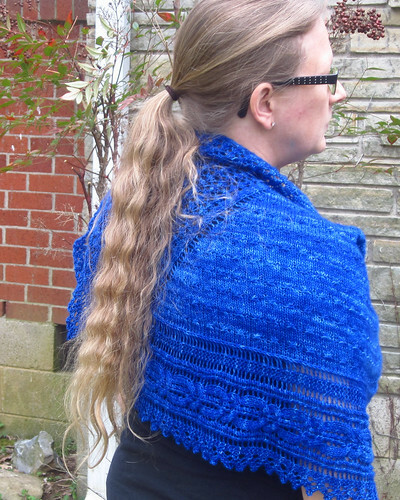 Cassie finished the Catoctin Shawl this weekend and I got it blocked today and just had time for a quick photo shoot. I am so very pleased with how this turned out. It is so lovely and easy to wear. 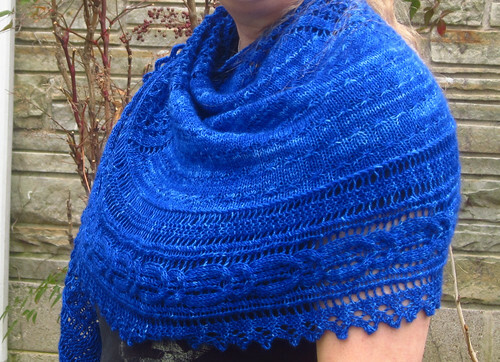 I often struggle to feel natural in a shawl but the shaping on this one makes it perfect for a shoulder wrap or a scarf. The edging remains my favorite part of the design. Very cool. It will be making it’s debut appearance at Stitches South in Atlanta this weekend. 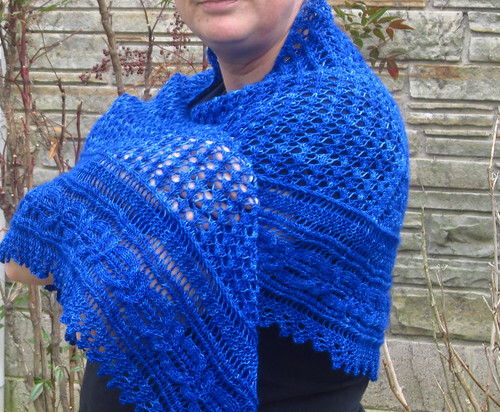 If you will be there you can see it in person along with the other new shawls. We will be in booths 232-234. We used just under two skeins of Classic Merino Superwash Sock to make ours. 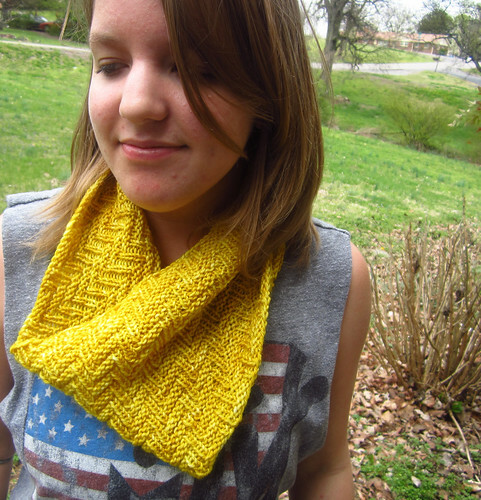 The pattern is available on our website as well as in Dee’s Ravelry store. 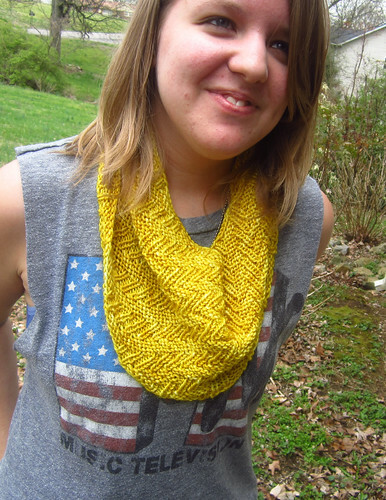 I also finished another knit this weekend. 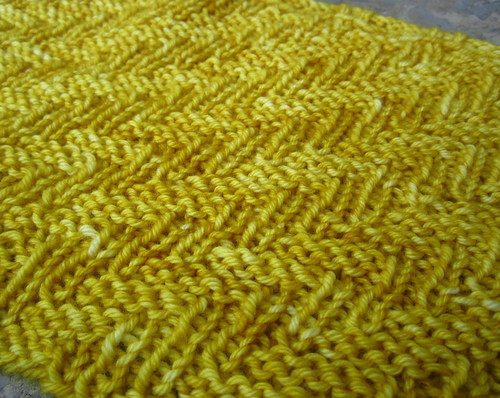 It’s my Maize Cowl knit from one skein of our new Classic Merino Superwash DK yarn. 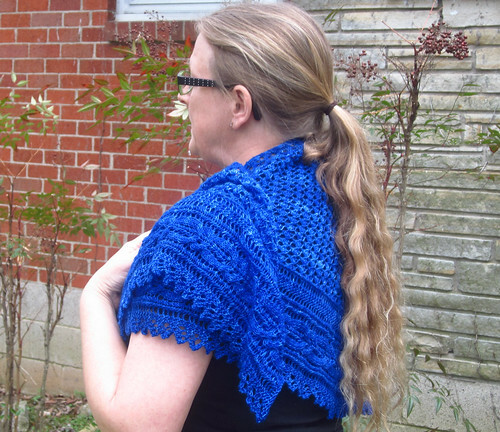 I have written up the pattern and will be offering it for free with the purchase of a skein of the DK yarn in my booth this weekend. 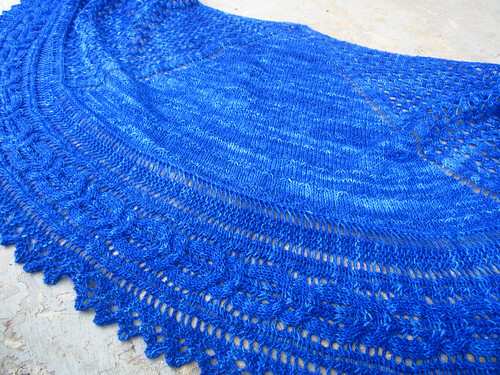 I do have more shawl progress to report but since I don’t have time for anymore picture taking right now because I have to finish packing for Stitches tomorrow, I will be back in a few days with those. Till next time!